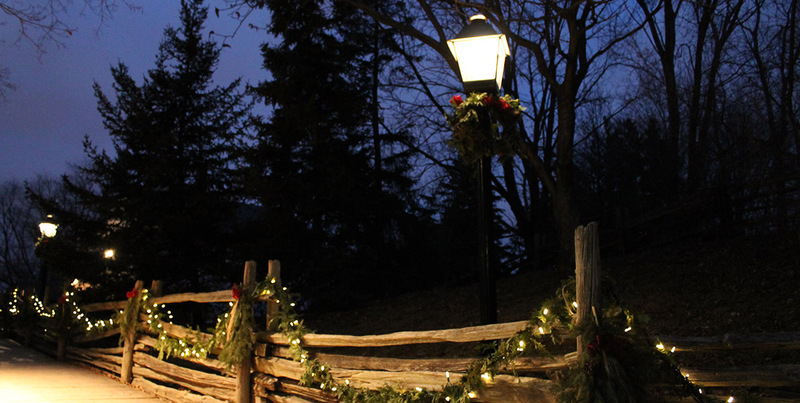 Bathed in the glow of lamplight and dressed in its holiday finery, Black Creek comes alive at night with music, food and activities. Christmas by Lamplight has sold out! Family Christmas Weekends run from 11:00am -4:30pm December 16th, 17th & 23rd as an alternative! Upgrade your Christmas by Lamplight experience with a traditional Christmas dinner for the ultimate celebration of traditions old and new. Bookings are available for 5:30 pm in the Canada West Room and at 5:30 & 8:30pm in the Half Way House Inn Restaurant. For wheelchair accessibility, please book the Canada West Room available December 16th and 23rd.